The India Center Foundation is pleased to host an intimate guided tour of ‘Modernism on the Ganges: Raghubir Singh Photographs’ led by MET Assistant Curator of South Asian Art, Shanay Jhaveri. 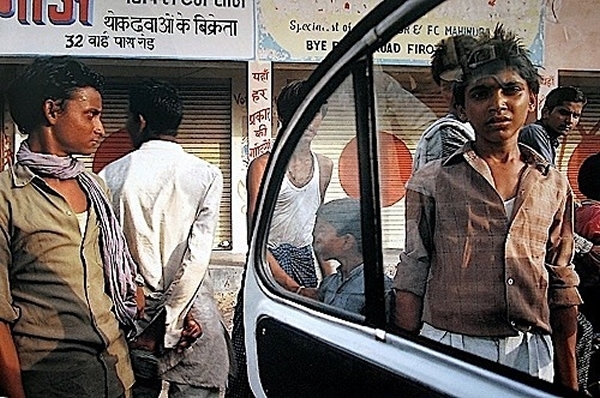 Raghubir Singh (1942–1999) was a pioneer of color street photography. He embraced color as part of a continuous Indian aesthetic tradition that reaches back to the miniature paintings of the Mughal period. Using a handheld camera and color film, Singh recorded India’s dense milieu in complex frieze-like compositions teeming with incident, fractured by reflections, and pulsating with opulent color.